During last week’s quarterly earnings call, Bob Iger announced that Joss Whedon will write and direct the sequel to Marvel’s The Avengers. Today The Walt Disney Studios is pleased to announce that the sequel will hit theaters on May 1, 2015. 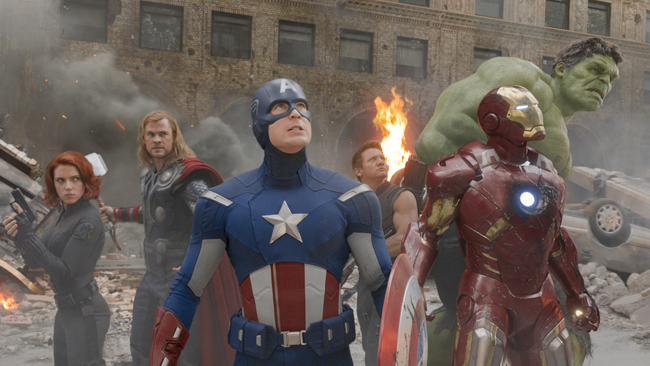 With a global box office of $1.46M, Marvel’s The Avengers is the third biggest release of all time. And the film is just beginning its run in Japan, the final international market. Marvel’s The Avengers opened in North America May 4 with a staggering $207.4 million – the biggest US debut of all time – and has been shattering box office records ever since including the industry’s all-time second weekend record with $103 million; fastest film to reach $200 million (3 days), $300 million (9 days), $400 million (14 days), and $500 million (23 days); and highest Saturday ($69.5 million) and Sunday ($57 million) totals. Among only 12 films that have grossed $1 billion at the global box office, Marvel’s The Avengers is one of five billion-dollar Disney releases, which also include Pirates of the Caribbean: Dead Man’s Chest, Alice in Wonderland, Disney•Pixar’s Toy Story 3, and Pirates of the Caribbean: On Stranger Tides.